Pianist Atelier-M releases debut instrumental LP ‘Season’ | Sonic Smash-Music! 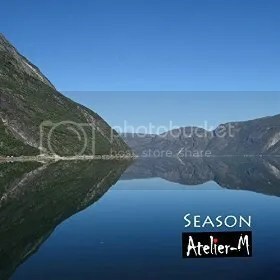 The pianist and composer of instrumental music known as Atelier-M has released his debut full-length record, “Season.” The LP is composed of 12 original tracks for an approximate total listening time of 50 minutes. Calming, soothing, intuitive, contemplative and beautiful in its simplicity, “Season” showcases Atelier-M as one of the world’s most accessible and creative composers of piano music today. His “Season” is actually a repertoire of compositions written to suit the months of the year, each being appropriately named for the 30 days it is intended to characterize. Like Vivaldi’s “Le quattro stagioni,” these pieces sound and feel like their climatic counterparts, being upbeat and warm, mellow and mild, or introspective and cool to match the respective season. Unlike Vivaldi’s “Four Seasons,” however, Atelier-M takes great care in painting sonic portraits of each individual month so that there is a far greater range in his record from track to track, divided as it is in 12 parts, rather than four. Atelier-M’s 2015 year has been dedicated to his “Season” debut LP, but it is far from his first music release. The “Season” LP is preceded by more than 50 single tracks in genres as disparate as easy listening, pop, EDM, avant-garde and progressive. Largely a studio musician, Atelier-M has not yet performed live, but his music may be heard at private art exhibitions both in Tokyo and outside the city, as well as at venues like the planetarium at Nagano Prefecture in Japan. He has been playing piano since childhood but soon found composition more to his liking. An autodidact in the world of writing music, he continued composing but never recorded these songs until 2005. “Season” by Atelier-M is available online worldwide. This entry was tagged atelier-m, background music piano, new calming piano music, new indie classical piano, season.